NILAI – This research is one of Halal Action for Young Scientists Project.conducted by PERMATA Insan College’s student for the uses of antioxidants extracted from Canarium odontophyllum for the production of travel soap. Canarium odontophyllum which commonly known as “Dabai” and ‘Sarawak olive’ is abundantly found in Sibu, Malaysia. They are Muhammad Faris Daniel Azman, 14, who involves in sample collection, identifying the morphology of Canarium odontophyllum and conducting simple chemical analysis such as column and thin layer chromatography. Meanwhile, Maizatul Nadzirah binti Mohamad Nadzri, 16, will identify the antioxidants compound in Canarium odontophyllum using ATR-FTIR and GCMS and Aisyah Maisarah Abd Razak, 16, who will innovate the travel paper soap (Datrav). In addition, the analysis of remaining antioxidants in travel paper soap “Datrav” is conducted by Afiqah binti Che Endut (16 years old). They were supervised by Dr Liyana Amalina Adnan, Dr Rahayu Ahamad, Puan Nur Fazidah Asmuje and En Ahmad Hakimi Shaffie and also engaged with SK Agama (MIS) Sibu. In Malaysia, Canarium odontophyllum has been identified as the most popular ones compared to other three Canarium species. It is oblong in shape and has thin dark purple and can be yield up to 300 kg during Dabai fruit season which are May – June and December –January. This indigenous fruit traditionally, not only can be eaten freshly but also as sauce, savoury snack and cosmetic product. It is a very good source for high energy, protein and fat, as well as minerals such as calcium, magnesium, phosphorus. Each of the different parts of the Dabai fruits has different nutrients that is in its maximum value. In addition, dabai fruit is prominent among locals due to its high level of antioxidants such as phenolic acids, flavonaids and anthocyanians which contributes to the development of health and beauty. The phenolic compounds contributes to anti-aging effects on skin, as it will limit the production of free radicals, thus preventing the skin cells from catatastrophic deterioration. Two phenolic compounds (ellagic and vanillic acids), five flavonoids (catechin, epicatechin, epicatechin gallate, epigallocatechin gallate, apigenin) and ethyl gallate were also detected in the fruits. Due to this benefits students at Kolej PERMATA Insan proposed to produce a travel paper soap namely Datrav paper soap which is a thin soap sheet anionic surfactant which can be used in conjunction with water for washing and cleaning. It is portable, cheap and easy to use. Many people use paper soap—paper-thin soap sheets as an alternative to bar and/or liquid soap. This is due to the fact that it is easy to carry, store and use especially for travel, but quickly dissolves in water without leaving behind residual soap scum in a soap dish or on a sink as typically seen with wet soap bars or dripping soap dispensers. Hence, the objectives of this paper are to analyse the identification and composition of antioxidants extracted from Canarium Odontophyllum. to be further utilized for the production of paper soap. To the best of our knowledge, this is the first research on the production of travel soap using antioxidants from C. odontophyllum. Dr Liyana Amalina Adnan, chief researcher said, need a big leap such as searching for good literature from various sources such as Sciencedirect, Springerlink, Wiley, published books and etc. Then, extracted significant informations from the jurnal to facilitate and assimilate with the research. Furthermore, this research inquires to handle analytical instruments such as Attenuated total reflection Fourier-transform infrared spectroscopy (ATR-FTIR), gas chromatography-mass spectrometry (GC-MS) which need to prepare themeselves with practical and theoretical knowledge on the instrumentation. 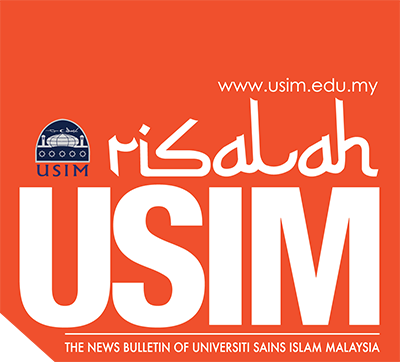 Bear in mind that, instrumentation topics have been only introduced for post SPM students”. This research has just been started and still on-going thus achievements will be unlocked in 3 months time. Aims to achieve the objectives of this research which are to analyse the identification and composition of antioxidants, innovate the antioxidants to produce a travel paper soap “Datrav” using the antioxidants extracted from Canarium odontophyllum. Moreover, team also hope to publish impactful research paper that can benefit researchers from various fields especially in natural products and hopefully Dabai travel paper soap “Datrav” will be certified Halal by JAKIM and will be marketed then.